A writer discovers a top-secret drug which enables him to use his full mental potential. It might be a bit harsh to say this. But after watching the trailer for this movie, I thought I had it all figured out, and the fact that I didn't might be the only good thing about this movie. A lot of it is predictable as hell, but then again it surprised me somehow once or twice. The acting is all right, it's just the whole concept that seems a bit too far out for me to take it seriously. 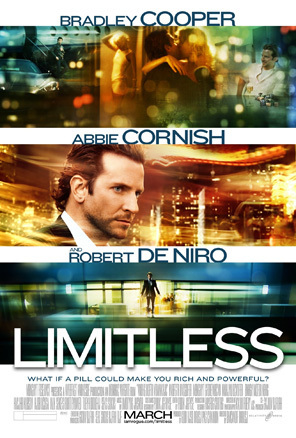 Robert De Niro's part is kind of lame, since it's insignificant and doesn't add much to the movie.